The Pegassi Infernus has established a deep legacy that few can match. Sure, its fuel consumption was recently designated a crime against humanity, and as far as safety features are concerned you might as well be driving round in a cluster bomb – but have you seen how pretty this thing is? 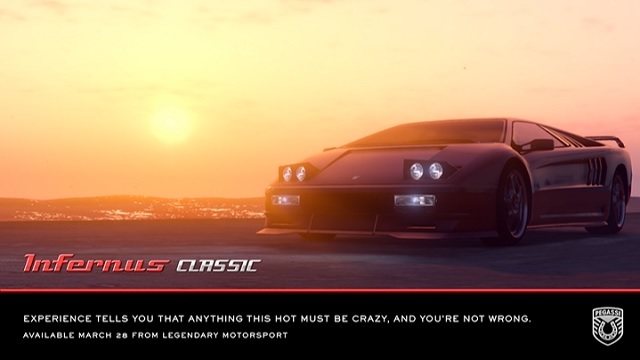 The Infernus Classic will have every other car sticking to the backroads in shame, and that’s just how it should be. Now available in GTA Online at Legendary Motorsport. Nothing says "team building exercise" like bringing your buddy back into the game by shooting some opposing chump in the back of the head. But that means there’s only one way to get ahead in the new Resurrection Adversary Mode: until you’ve wiped them out, they can always come back. Compete in this new mode in 7 distinct locations including the Aircraft Carrier, Ron Alternates Wind Farm and Elysian Island - with 2 teams of 4-8 players, where the objective is to eliminate the entire opposing force, and where every enemy you kill revives a fallen member of your squad (in the order in which they were killed). 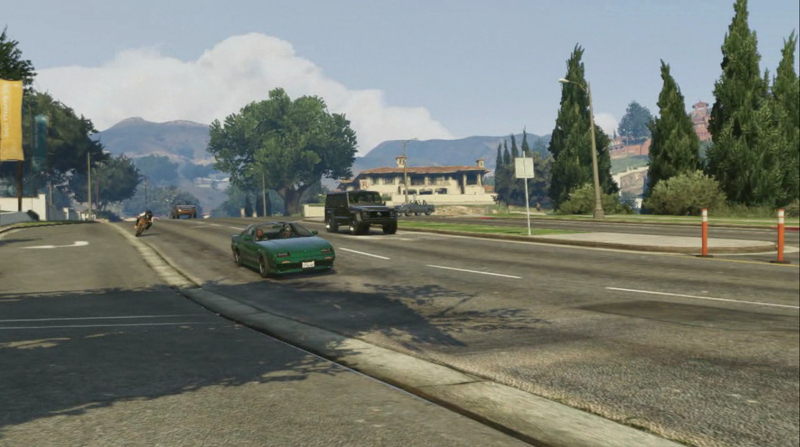 And as an added bonus, all players will receive Double GTA$ & RP in this new mode starting today.